But these two style elements should have a place in every writer’s paintbox. Developing writers rely on basic sentence patterns in their writing because they haven’t yet developed the ability to write more complex sentences, nor have they learned common revision techniques such as sentence combining. Unintentionally, they use sentence fragments and short, choppy sentences in their stories, reports, and essays. The result? Boring, ho-hum, unsophisticated, first draft writing. Yet effective writers deliberately use sentence fragments and short, choppy sentences to make their writing stronger. What’s the difference? Check these examples from Sandra Cisneros and Shammai Golan. Although born in poverty in Chicago, Sandra Cisneros, celebrated Mexican-American writer, did not remain there. Encouraged by her mother, a voracious reader, and mentored by teachers, Cisneros rose above the impoverished conditions that hold so many back. She graduated from Josephim Academy and Loyola University in Chicago, and then earned a master’s degree at the University of Iowa Writers’ Workshop program. But college life was not easy for Cisneros. As a Chicano in primarily white college classes, she rebelled against the traditional reading assignments that just did not relate to her early life experiences as a Mexican-American. Out of frustration and anger, she chose to write about what others could not—her life growing up in a poor, urban, predominantly Puerto Rican Chicago neighborhood in Chicago—a place significantly different from those she read about in her college literature classes. Everybody in our family has different hair. My Papa’s hair is like a broom, all up in the air. And me, my hair is lazy. It never obeys barrettes or bands. Carol’s hair is thick and straight. He doesn’t need to comb it. Nenny’s hair is slippery—slides out of your hand. And Kiki, who is the youngest, has hair like fur. Cisnero’s writing captivates. It is conversational, warm, and comfortable, as if she speaks directly to you. Her fragments and short, choppy sentences slide out in a steady, smooth stream, but they fit her intended purpose—to reflect the natural conversational tone of her childhood. Just kids sitting on the front stoop, swinging their bare-feet, and talking about life and hope. Subject these pieces to an academic sentence-combining activity and the charm, rhythm, and honesty disappear. Her writing is not unsophisticated. It is a social commentary, rich in description about the truth of life in poverty. She uses sentence fragments and short, choppy sentences effectively for her own writing purposes. Israeli writer Shammai Golan uses sentence fragments and short, choppy sentences with an entirely different effect. 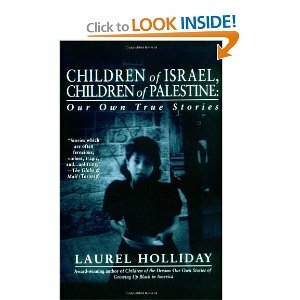 Golan moved to Palestine (pre-Israel) as an orphan at the age of fourteen (1947), leaving Poland and the difficult years of World War II behind. In 1951, he joined the Israeli Army in the on-going Arab-Israeli conflict, the background for this disturbing and powerful account of an Israeli’s soldier’s agonizing death. In this brief quote, Golan conveys fear, shock, disbelief, and horror using fragments and choppy sentences to describe the last thoughts and minutes of a soldier’s life. Golan communicates the gravity of this tragic situation as the soldier moves in and out of consciousness, hallucinating, remembering, regretting, wondering. Truncated sentences and stream of consciousness thinking create a stunning emotional impact on the reader. This must be what happens when someone thinks he is dying. So, yes, there are rules for writing, but good writers often ignore these rules in order to develop their own style. Short, choppy sentences and sentence fragments can be effective in writing for specific purposes. Consider your purpose in writing when you use them. Narrative writing with dialog seems especially suited for these two stylistic devices. People do not normally speak in full sentences in conversation. Instead they use body language, clipped sentences, repetition, and reliance on commonly known information to carry their meaning. They speak in fragments and in short, choppy sentences. Academic writing, on the other hand, is not the place to overuse these structures. Teachers and professors prefer the more complex sentence structures that demonstrate higher levels of thinking and organization. Sentence fragments and short, choppy sentences are not such bad guys after all. But use them wisely, as part of an overall strategy to vary your sentence structure. Tell your teacher or editor I told you so. When have you used short, choppy sentences or fragments as stylistic strategies in your writing? What authors have you read that use these two stylistic strategies effectively? Great blog and I totally agree with you! Because I want my characters’ dialogue to sound authentic, I use lots of fragments and short choppy sentences–just like we speak. Great post! I tend to do it during tense action scenes, dialog, and internal monologue. Those are the best times for fragments… Dialog has to sound like normal conversation. I love sentence fragments. Use them all the time! LOL! Also liked the excerpt! Beautiful writing. I LOVE using sentence fragments. And yes, it’s essential to turn off the grammar checker! What once seemed like a pretty “neat” feature (something like freely cheating on a grammar test) has since become somewhat obnoxious and unreliable–at least when the goal is creative writing. As much as I love and rely on choppy sentences and sprinklings of fragments when writing, the spell checker does not. And fugedabout when I attempt to slip in the occasional made-up word or jargon. Those red squiggles feel downright hostile! Janice, loved you blog on Italy…. I am planning an Italian trip in August would love to communicate with you re this. I dis a cooking week in France last year, lacruzette, (www.lacreuzette.com) and looking for similar in Tuscany…. Can you help at all? I did find a cooking class in Italy. I’ll look back for the information and post it here. This is way over my head since I’m not a writer, but Jan’s sister-in-law. But I do have and observation. In the last 5 years or so, I have noticed 2 annoying errors in things I read and hear (respectively)…plurals have an apostrophe. On Wednesday’s we will meet at 12 instead of 11. Please leave bicycle’s in this area. Why did this change from 100 years of using apostrophes for possession? Another gripe is the phrase, “qoute unquote”, then the quote is given. The idea of saying, “Quote” is to begin the quote, and then when finished with the actual qoute, we should say, “Unquote.” That way we know where the quote began and ended. My husband says I shouldn’t be bothered by these errors. I should be bothered by the fact that North Korea has a bomb. But those errors annoy me.